LAS VEGAS, Feb. 4, 2019 /CNW/ – Dan Anglin, Co-Founder & CEO of CANNAMERICA BRANDS CORP. (“CannAmerica” or the “Company”) (CSE: CANA) (OTCQB: CNNXF), maker of one of the most iconic infused confections in legal cannabis, has been named one of the High Times 100 Most Influential People in the Cannabis Industry. Mr. Anglin created CannAmerica Brands with Co-Founder Frank Falconer. He is a U.S. Marine veteran who served in both Desert Shield and Desert Storm, and has spent the past decade championing veterans’ access to cannabis. Mr. Anglin is regarded as a national expert on policy reform. He has owned and operated 38 licensed businesses across the nation, including Colorado’s largest infused edibles brand. He was ever-present at the Colorado Capitol as the state’s adult-use Amendment 64 was implemented, and continues to serve on rule-making working groups for the Colorado Marijuana Enforcement Division. 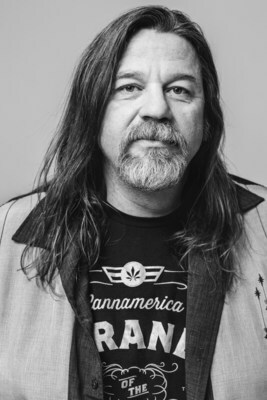 He founded the Colorado Cannabis Chamber of Commerce (C4) in 2014, a nonprofit organization that provides advocacy and networking opportunities for stakeholders in the cannabis industry. CannAmerica Brands got its start as a successful gummy brand in Colorado—with over 14 million gummies sold across the state to date—and has since acquired an impressive portfolio of leading cannabis brands retailing in Colorado, Nevadaand Maryland. The veteran owned and operated Company offers licensed and regulated cannabis businesses around the world the opportunity to license its expanding portfolio of well-established brands, including its flagship CannAmerica Gummies brand. Along with his fellow nominees, Mr. Anglin will be honored at the High Times 100 Gala in Los Angeles on March 27, 2019. For more information or to schedule an interview with Mr. Anglin, please contact Kim Ring, a representative of Grasslands: A Journalism-Minded Agency, at kim@mygrasslands.com or 314-495-4589. CannAmerica Brands (CSE: CANA) (OTCQB: CNNXF) is a U.S. Marine veteran owned and operated portfolio of cannabis brands in Colorado, Nevada and Maryland. CannAmerica specializes in maximizing the value of their brands through its core competencies of marketing and licensing through various distribution channels such as dispensaries, wholesalers and distributors. CannAmerica currently sells its edible gummy products in more than 350 dispensaries in Colorado and 63 dispensaries in Nevada with plans to expand to an additional eight U.S. states and internationally to the Canadian market.